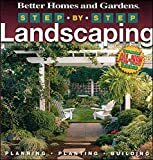 If you are hoping to create landscaped areas around your house or yard, getting a comprehensive plan together is a critical first step. There are of course, a number of things to consider when selecting the plants that you will use. Some will deter deer and others will be poisonous to pets. While aggressive plants will fill a space rapidly, others will take years to mature. When putting a landscaping plan together, most people know to consider plant size, particularly size at maturity so that they can determine placement. In addition, we generally don't forget to consider soil, temperature, and sun exposure needs so that the plants we choose will survive and thrive for years to come. However, there are other things to think about and one of the often overlooked aspects of a plant that beginners neglect to consider, is rate of growth and aggressiveness. You may ask why this is important. My personal experiences may shed some light on why aggressive growth is worthy of consideration. 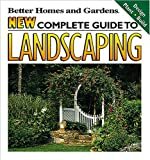 In this discussion, we are referring to aggressively growing plants; plants that grow very rapidly and in many cases, will tolerate almost any type of soil and will withstand shade, full sun, drought, and just about any other type of environmental condition so that they can be difficult to control. Some are considered invasive. Meaning that they will grow well beyond where you have planted them and intended them to be. Some aggressive, non-native plants can become particularly invasive since they are rapid growers and are living in an environment where there are few plants that can compete with them and few pests that will destroy them. If you are just putting in a landscape bed and want to save money, then you can grow your plants from seeds, bulbs, and so forth or you can start with seedlings and bare root plants. Of course, in many instances, it will be a number of years before your plantings will create the look that you are hoping for since their growth will be gradual. Aggressive plants can be very attractive because they can fill the space more quickly. Many ground covers are aggressive growers. Creeping Jenny and many types of ivy are good examples of this. You can plant them and within a season, you will achieve a carpet of green. Of course the downside of the rapid growth of these plants, is that they may grow well beyond the area where they are wanted. 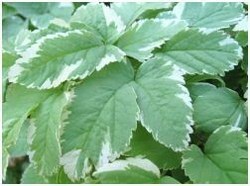 As an example, I planted "Snow- On-The-Mountain" (Aegopodium podagraria 'Variegata' or Bishop Weed) in my landscaping years ago. I loved the silvery green leaves with their white border and knew that it would create a lush ground cover against my dark green and burgandy shrubbery. I also knew that it was among one of the more deer resistant plants which I needed. What I didn't know was that it would expand, leaping over (or rather under) landscape edging and begin taking over my grass as well within a year. The grass in the adjoining area had to be treated for weeds each year just to kill the encroaching ground cover. While ground covers are frequent offenders when it comes to aggressive growth, they aren't the only plants that could potentially fall into this category. For instance, I purchased some "Pretty Belinda Yarrow" one year. It had feathery foliage and beautiful pink and red blooms that tolerated full sun, dry periods, and were deer resistant plants as well. I loved them, until I realized that they spread endlessly. It didn't spread as aggressively as many of the ground covers but over the period of three years it expanded by a few feet and was quite willing to leap beyond the boundaries of landscape edging without flinching. Aggressive plants can also choke out other growth. This is particularly bad with non-native species that grow unchecked and can eliminate native growth. However, even in landscaped areas, it can become devastating. My "Snow-On-The-Mountain" had to be pulled out by the roots to prevent it choking off even Boxwood shrubs, Barberry, and Rhododendrons. Within weeks of emerging in the spring time, it would surround my shrubs and prevent them from sprouting new growth. I'm sure over time they would also rob adjacent plants of moisture as well. While I love growing plants, I don't particularly like to create more work for myself. Plants that grow too aggressively and either grow beyond their space or threaten other plants have to be trimmed back regularly. My "Snow-On-The-Mountain" had to be trimmed aggressively every month throughout the growing season. I had a similar problem with Belgian Ivy as well. You can avoid aggressive plants altogether, especially non-native ones. But aggressive growing plants can still be attractive sometimes. Here are my tips on how to deal with the problems they can present. 1. Plan for aggressive growth. Always know the mature size of a plant and don't rely on tags placed on the plant at the local home improvement store. Do a little online research. Then be sure the location and space you have available matches up to the plant. Go online and see what you can learn about the plant. Is it designated as invasive, are others complaining? There are a number of sites that can help you identify plants that are considered problematic. If I were planting an aggressive plant that tends to invade other areas, I would only place it where there are well defined boundaries. For instances, between my house and a sidewalk where it is very unlikely to spread where it isn't wanted. If it does begin to escape into your lawn, you can of course consider weed killers. 4. Consider a less aggressive plant. The other option of course is to avoid aggressive growing plants altogether. Use slower growing plants. If you want to fill an area immediately without waiting for slow growers, then simply install more plantings, some of which you can move to a different location later, if the area becomes over grown. Particularly if you will be planting near a natural area, you might want to stick with native plants which are less likely to completely overtake other native species in the area. We've had problems with aggressive plants like Snow-on-the-mountain, too. It's certainly a pretty looking ground cover, but it's a little too over exuberant! Another aggressive plant we have in one area of our yard is sweet pea. It produces very pretty pink flowers, but unless I yank out about 2/3 of it 2 or 3 times a summer, it will take over the whole wall that it's planted near. I like the idea of growing more native plants in our garden areas. These are certainly helpful tips that most of us can definitely make use of! I always either ask a specialist or look online before adding a plant I am not familiar with, just in case. It is a pain to find out 2 years down the road that your nice plant is spreading uncontrollably. Really useful page. I have one word - Borage!